Many of us feel stressed due to the seemingly endless amount of emails that keep pouring into our inboxes. Researchers at the University of California, MIT and Microsoft recently conducted a study on how our way of dealing with the inflow of email affects our stress level and how productive we perceive ourselves to be. This is supposedly the first study measuring the test subjects’ physical stress levels and how they use their computers, that also asked them to report on how efficient and productive they perceive themselves to be throughout their workday. The researchers found that those of us who receive great quantities of emails become less stressed if we read (and process) our email in batches (referred to as ‘batching’) a few times during the day instead of checking and dealing with emails continuously throughout the day as they arrive in our inbox. It reduces our stress level and makes us feel more productive if we get to decide for ourselves when to check for emails, as opposed to when we let the email program and its notifications tell us when to deal with the recently received messages. So, if you usually read emails as soon as you receive them, and have yet to turn off notifications regarding new messages, this would be an excellent time to refine your structure and emailing by doing just that. 1. Turn off the notifications and other signals which indicate that ‘you’ve got mail’, so that it is you, and only you, who decides when you will attend to new emails – not the email client. 2. Choose an appropriate interval at which you open the inbox and check for new messages. There are those who choose to have a look once an hour, some not that often and others more frequently. Throw away the obvious trash. Answer those that only take a minute or two to respond to immediately. Create to-do-tasks for all the emails that will take longer to respond to, or for which you need to do something before responding. 4. Take care of as many emails as you can during the time you have set aside for processing correspondence every time you open the inbox. 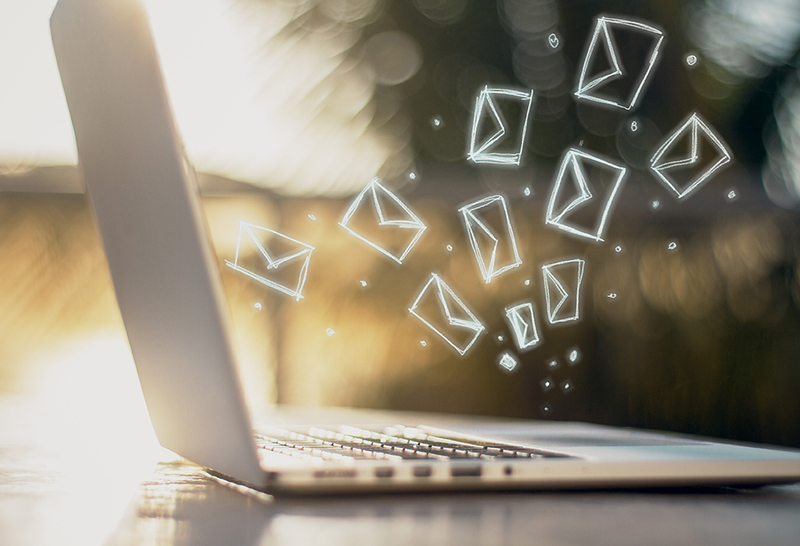 Judging by what the researchers found, you will feel less stressed if you process emails in batches and only open the inbox when you actively choose to. You will have longer stretches of time without interruptions during which you can do other things than reading (and responding to) emails, and if you are anything like the participants in the study, taking control of your relationship to emails will make you feel more productive as well.